Billy Gunn has tried over 240 cases in 19 states amassing an impressive track record in a trial practice spanning three decades. He has developed a solid reputation for his trial strategy and acumen, and is frequently retained for the most complex of product liability, medical malpractice, medical device, transportation and catastrophic injury cases. 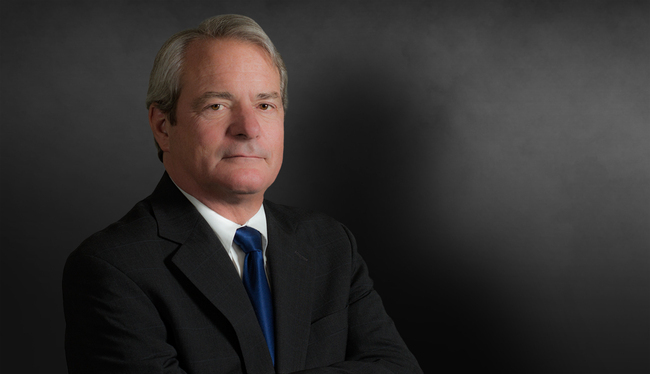 Billy serves as trial counsel for manufacturers, including those in the highly regulated medical device industry, hospitals, transportation companies and excess insurers. He is consistently named in Best Lawyers in America© in Mass Tort, Product Liability and Personal Injury Litigation and selected to the Georgia Super Lawyers list in the area of Civil Litigation Defense for more than a decade. As one of the founding partners of WWHGD, he continues in leadership roles through the mentoring of junior lawyers and externally and has been on the faculty for the National Institute of Trial Advocacy and the Atlanta College of Trial Advocacy. Trial counsel for the insureds of one of world's largest insurance providers in their litigation nationwide. Achieved a verdict of more than $56 million below the original pre-trial demand, in a clear liability case, in which a guest was killed and their spouse permanently brain damaged due to carbon monoxide exposure. Defended an international hotel and resort in Cheyenne, Wyoming. Handled national litigation defense involving four trials and 750 separate cases in nearly all 50 states, after the recall of surgically implanted urological incontinence device on behalf of an international medical device manufacturer. Trial counsel to international medical device manufacturers in litigation stemming from allegedly defective products. Favorably represented global defense manufacturing company after pumper truck, during a response to a fire in New Mexico, became mobile with no driver, striking and pinning the plaintiff against a post. Served as co-lead defense counsel in multiple district litigation (MDL) with more than 900 claimants. Faculty, National Institute of Trial Advocacy. Faculty, Atlanta College of Trial Advocacy. Frequent lecturer at Georgia Institute of Continuing Legal Education (ICLE) seminars.